WIN… an incredible la différence bed set by Sealy, worth R52 000, for a dream-filled, restful night’s sleep! Rest is a crucial part of our lives. To function and be productive – whatever the task at hand may be – we need our seven to nine hours’ sleep a day. Thankfully, Sealy is in the business of making slumber healthy, ensuring that our bodies and minds are in tip-top shape. For the past 51 years, the expert bed-making brand has been producing the healthiest mattresses for South Africans. A leader in the ‘science of sleep’, Sealy provides far more than just something for you to lie down on – its products give you the correct orthopaedic support you need for a great, healthy repose. The latest addition to its collection is called la différence and it is so exceptional, a word had to be invented to describe it – ‘essensual’, as it’s both sensuous and essential, making for the perfect recipe for a blissful night. 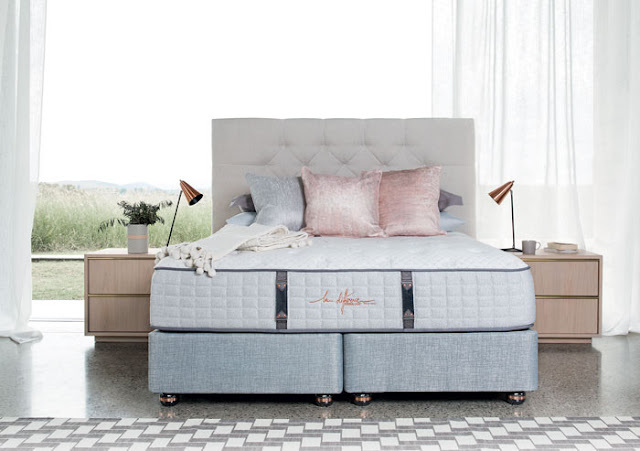 The king-sized la différence bed is of the finest quality and offers plenty of space for you and your significant other to stretch out in and completely relax, without having to worry about who’s hogging the most space. What’s more, the soft Dermatex fabric exterior of the mattress has probiotic technology that helps regenerate your skin overnight, so you really will be getting your beauty sleep! However, it’s what’s on the inside that contributes to a more rested you – from a temperature-regulating Latex Air layer that moulds to the shape of your body, to the Dual-Flex Hybrid Foam layer that adds a luxurious touch, making you feel utterly comfortable. With sleep so good, your only challenge will be breaking away from bed every morning. This month, one incredibly lucky reader will win a la différence bed set by Sealy, worth R52 000!